JIM TRIMBLE email Decoy List as of November 1, 2018 – with additions and subtractions from the previous list. DIGITAL PHOTOS AVAILABLE ONCE SPECIFIC INTERESTS ARE EXPRESSED! 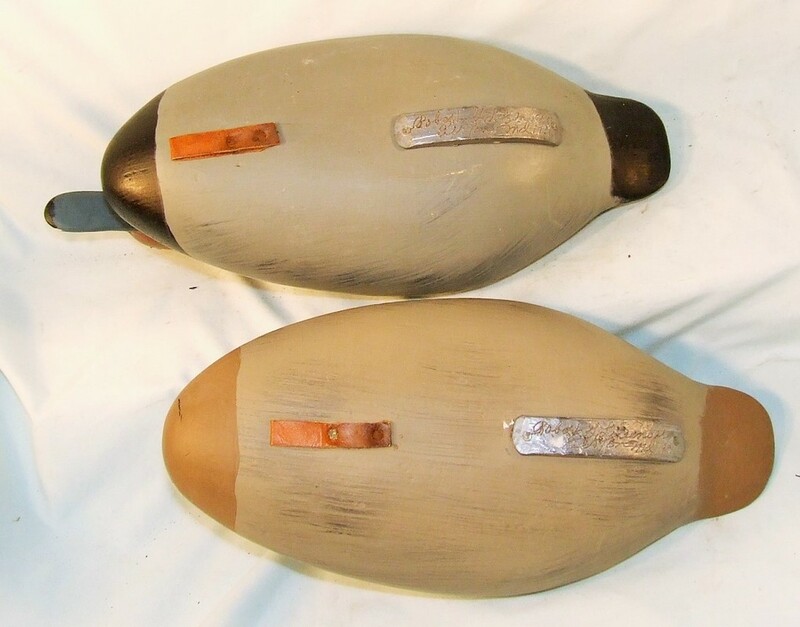 I am pleased to answer questions relating to a specific decoy. 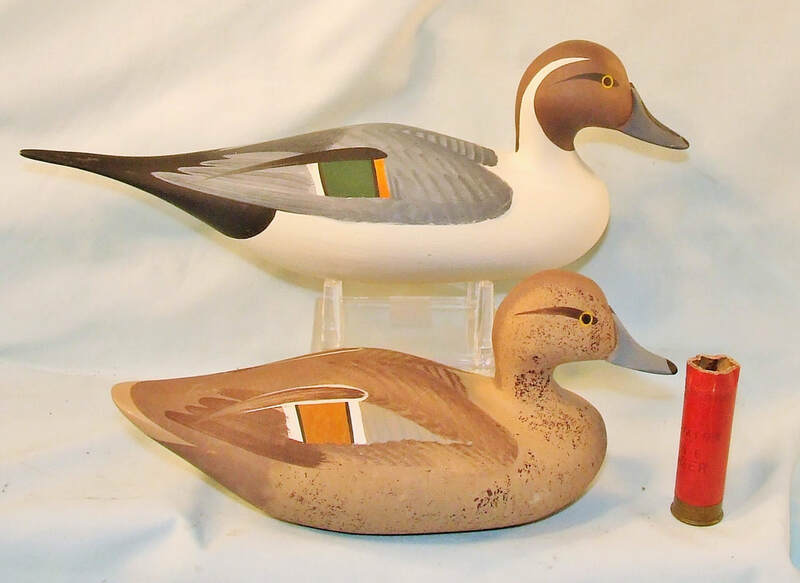 Many decoys are in gunning paint; original paint birds are designated OP. As our computer filters get more sophisticated, it is suggested that you add potomacduck@cox.net to your address book! If you have decoy-collecting friends, please feel free to forward. If you no longer want to remain on the email list - please hit the respond key with the email message "remove." 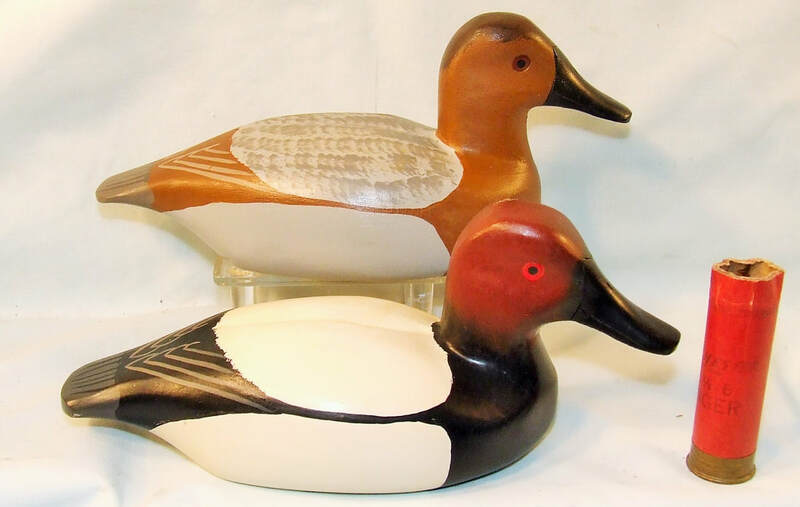 *****I BUY MARYLAND, VIRGINIA AND NEARBY REGIONAL DECOYS – All inquiries handled quietly & discreetly. One, many or all........Cash paid! 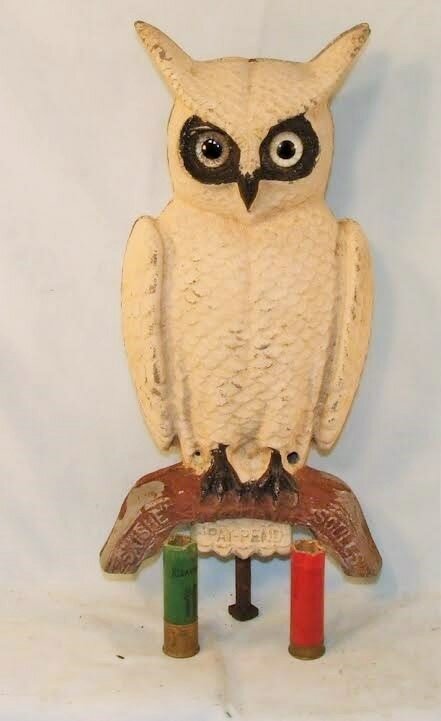 ----Charles Joiner (1921-2015), Betterton, MD – OP brant with alert head, glass eyes, fine feathered painted wing patterns rounded cambered back to round chime, defined tail, flat bottom, s&d 1986, shelf-kept, without neck-crack or repair @ $575. 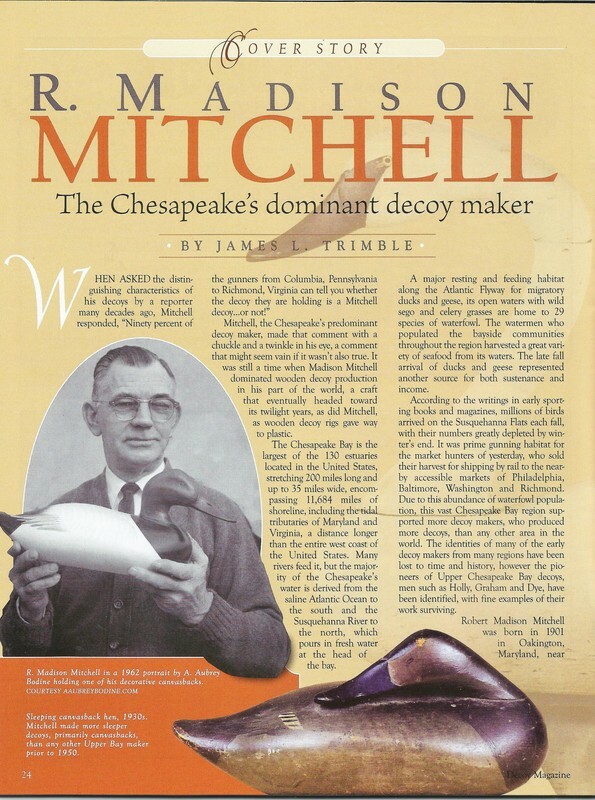 Chesapeake Bay decoy books feature Joiner decoys and there is a permanent display of his decoys at the Havre de Grace Decoy Museum. (see cover story DecoyMag Jul/Aug 08). 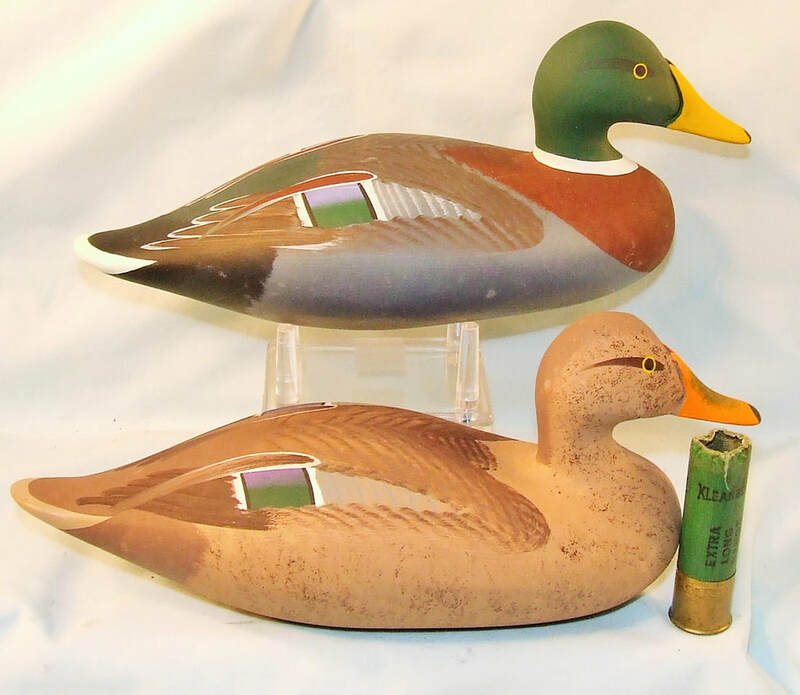 -----Allen Purner (1921-2006), North East, MD – OP diminutive blue wing teal hen, Jim Holly style, with alert head, glass eyes, blue speculums, rounded body to rounded chime and defined tail, dog bone weight & large staple attached, impressed AWP initials on on weight, prior collector's identification note written on bottom, without neck crack or repair @ $200. 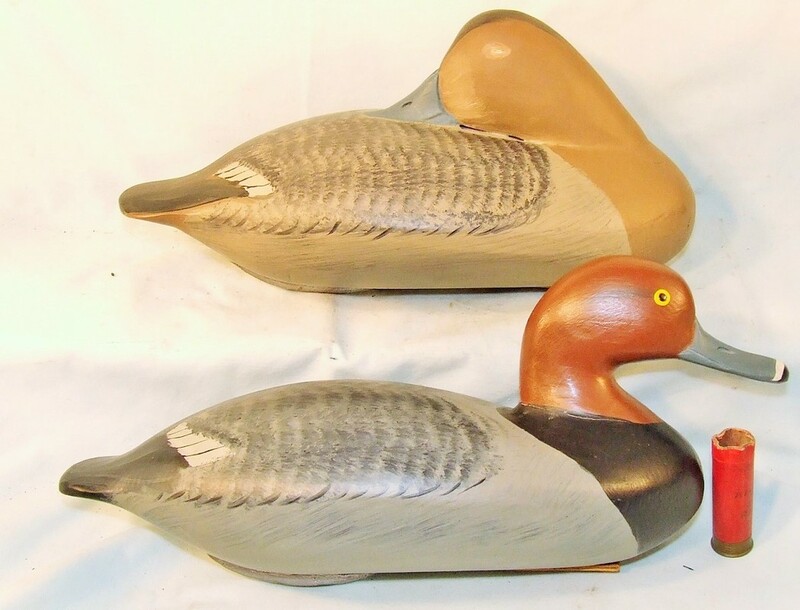 Purner's decoys are on display at the Havre de Grace and Upper Bay Decoy Museums. Purner, a waterfowl hunter, worked at APG. He was a decorated (Bronze Star, Purple Heart among others) WWII vet who fought in the Pacific theatre. Besides decoys, he also built fine gunning boats. (see Decoy Mag Jul/Aug 2010 – National Geographic Nov 1983). 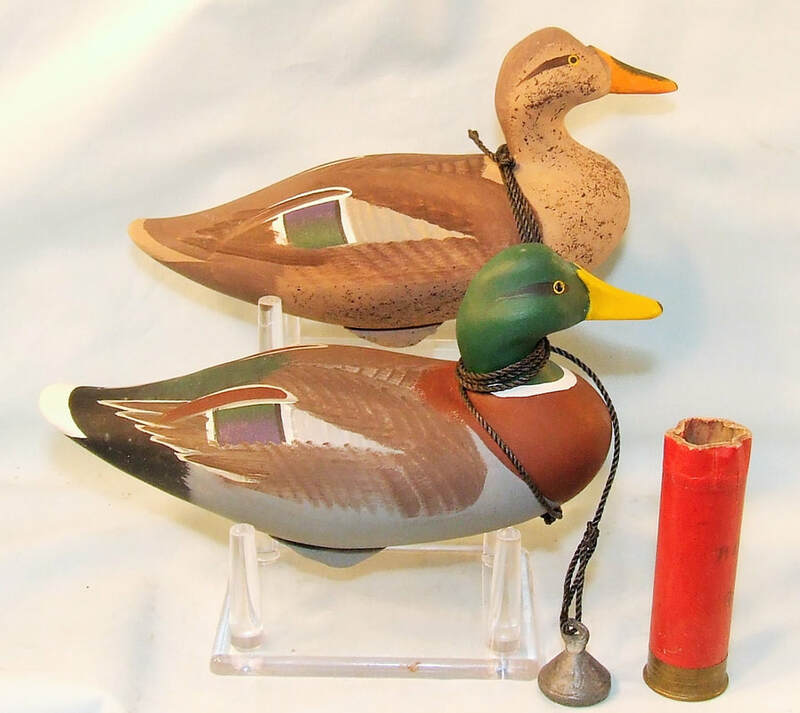 ​ -----Jim Britton, Reedville, VA (Potomac River) – Fine OP green wing teal pair with turned heads, glass eyes, carved nostrils, neck shelf, fine feathered paint, rounded bodies, flat bottoms, defined tails, signed, shelf kept without nicks, dings or repair @ $165. 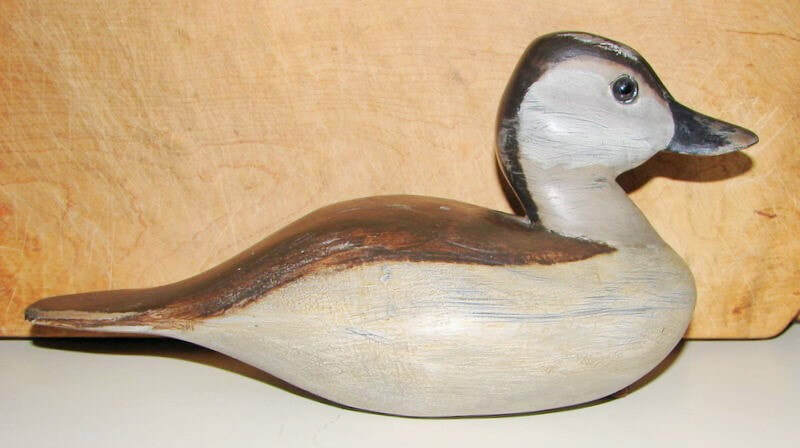 Britton, a retired mechanical engineer, is a waterfowl hunter and a gifted craftsman who carves primarily for the shelf. 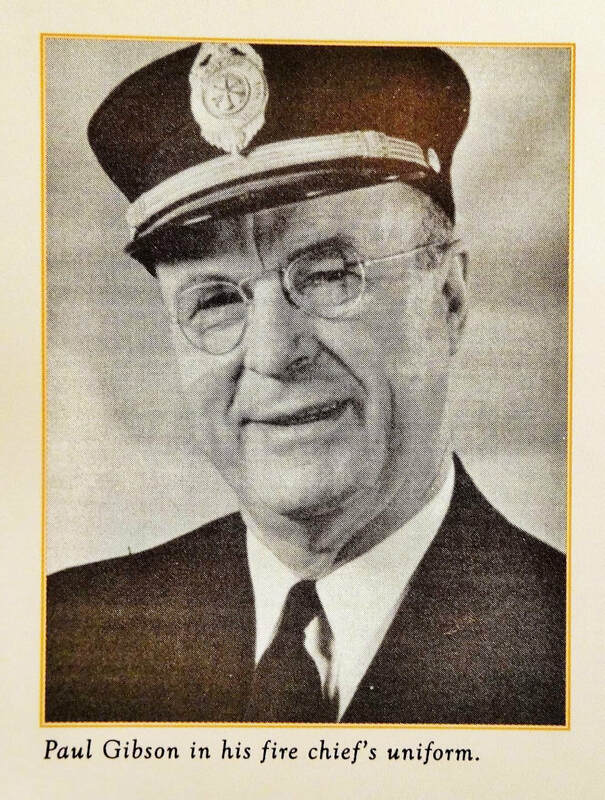 He was recognized and honored by the Havre de Grace Decoy Museum when asked to serve as their 2005 Honorary Festival Chairman. 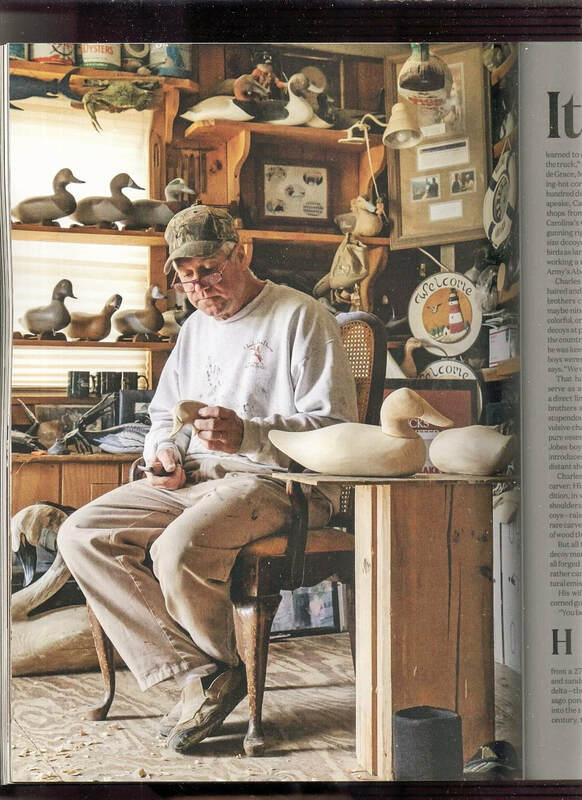 (see Spring 05 cover story - HdG Decoy Museum's Canvasback Magazine). 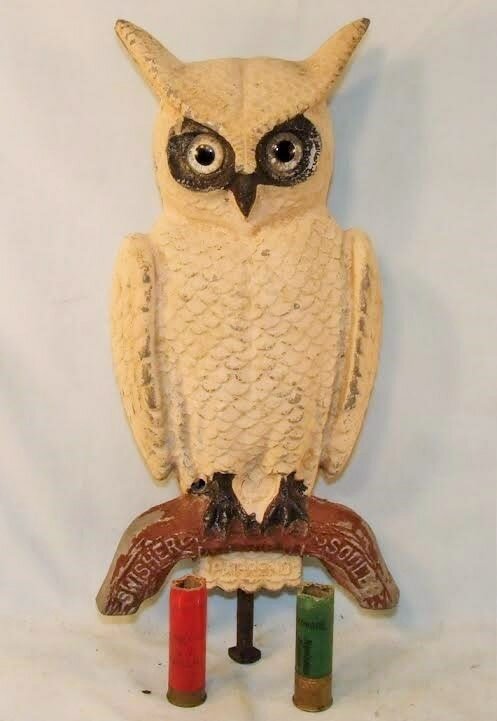 ​-----Robert “Bob” Litzenberg (1910-1997) Elkton, MD – OP redhead pair with paint eyes, carved nostrils & bill delineations, slight neck shelf on drake, hen is sleeping, fine painted feather patterns, semi-paddle tails, weights and straps attached, s&d 1981, shelf kept without the usual nicks & dings, putty pop (knot) on hen's breast, without repair or neck crack @ $400. 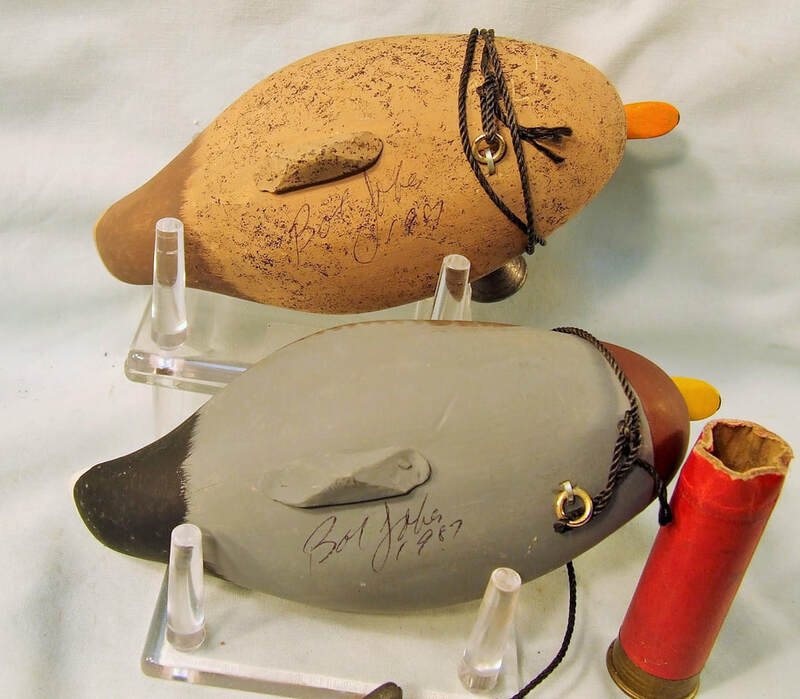 Litzenberg’s decoys are featured in Chesapeake Bay decoy books and his decoys are on display at the Havre de Grace and Upper Bay Decoy Museums. 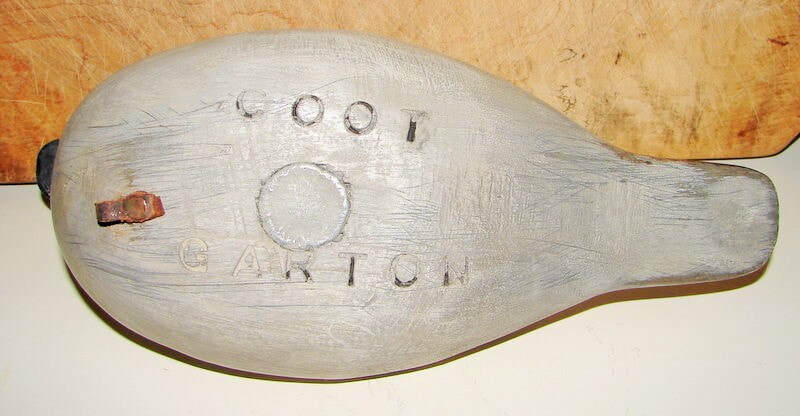 -----George "Coot" Garton (1923-2002) Bridgeton, NJ - OP ruddy with glass eyes, jowly cheeks, fine head carving, antiquated OP gunning paint, semi-Dudley style with humped back to rounded chime and long paddle tail, poured weight and leather strap attached, branded COOT GARTON, without repair or neck crack, appealing to the eye @ $125. 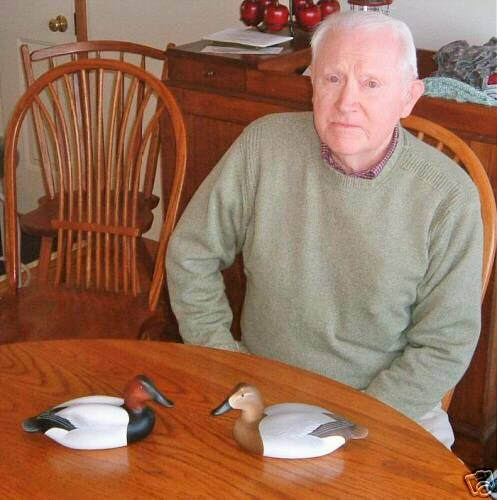 Garton, a WWII veteran & duck hunter, an early blue ribbon carver who competed nationally, carved numerous birds for DU, and in 2000, was recognized & inducted into the Easton Waterfowl Festival's Hall of Fame. -----Steve Morey, (1946-2014) Tuckerton, NJ - Cobb style hollow bluebill decoy in antiquated OP with forward leaning downward sloping head, glass eyes, carved nostrils, inlet throaty head, rotund body with defined raised primary/tail split with gentle fall ridge, gentle paint feathering, antiquated paint shows wear with tree-ring growth plainly visible, shot marks, top/bottom seam visible, Hardware attached, serif M carved brand, without repair or neck crack @ $275. 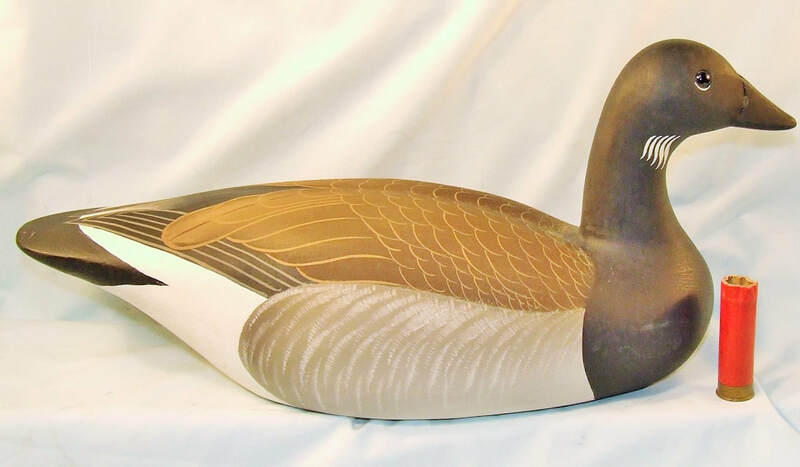 Morey was a highly regarded blue ribbon decoy & folk art carver who has been honored and recognized through numerous decoy carving competitions; and by the New Jersey Decoy Collectors Association who, several years back, honored him as NJDCA's "Decoy Carver of the Year". -----Steve Morey, (1946-2014) Tuckerton, NJ - Cobb style hollow canvasback decoy in antiquated OP with forward leaning downward sloping head, glass eyes, carved nostrils, inlet throaty head, rotund body with defined raised primary/tail split with gentle fall ridge, gentle paint feathering, antiquated paint shows wear with tree-ring growth plainly visible, shot marks, top/bottom seam visible, Hardware attached, serif M carved brand, without repair or neck crack @ $275. 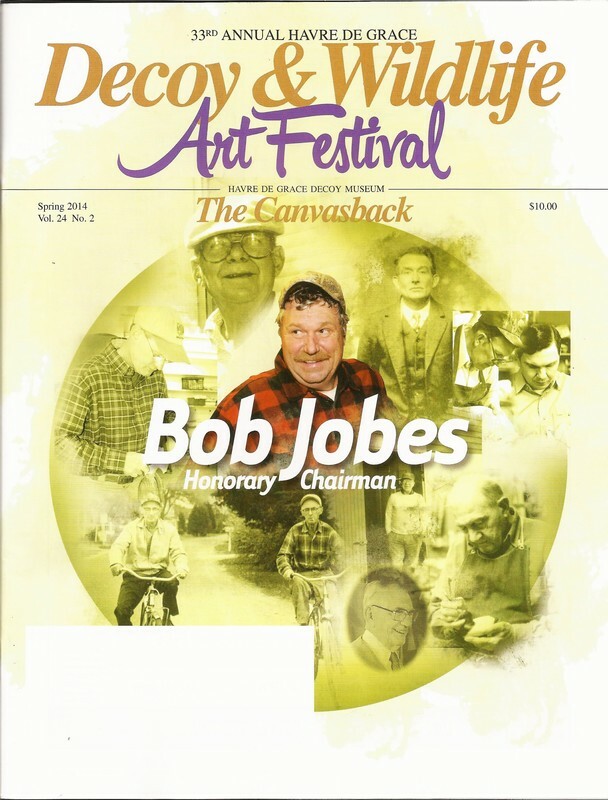 Morey was a highly regarded blue ribbon decoy & folk art carver who has been honored and recognized through numerous decoy carving competitions; and by the New Jersey Decoy Collectors Association who, several years back, honored him as NJDCA's "Decoy Carver of the Year". -----Steve Morey, (1946-2014) Tuckerton, NJ - Cobb style hollow merganser pair in antiquated OP with resting heads, glass eyes, carved nostrils & bill delineations, inlet throaty heads, rotund bodies with defined raised primary/tail splits with gentle fall ridge lines, Virginia merganser wing paint patterns, antiquated paint shows wear with tree-ring growth visible, top/bottom seam visible, Hardware attached, serif M carved brand, without repair or neck crack @ $525. 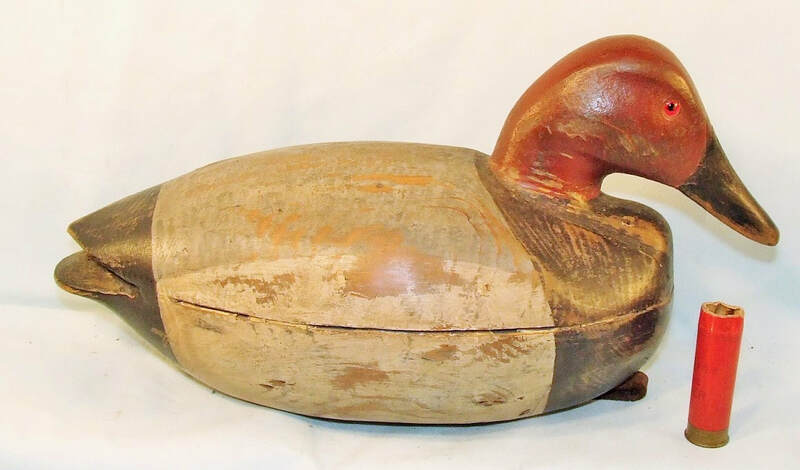 Morey was a highly regarded blue ribbon decoy & folk art carver who has been honored and recognized through numerous decoy carving competitions; and by the New Jersey Decoy Collectors Association who, several years back, honored him as NJDCA's "Decoy Carver of the Year". 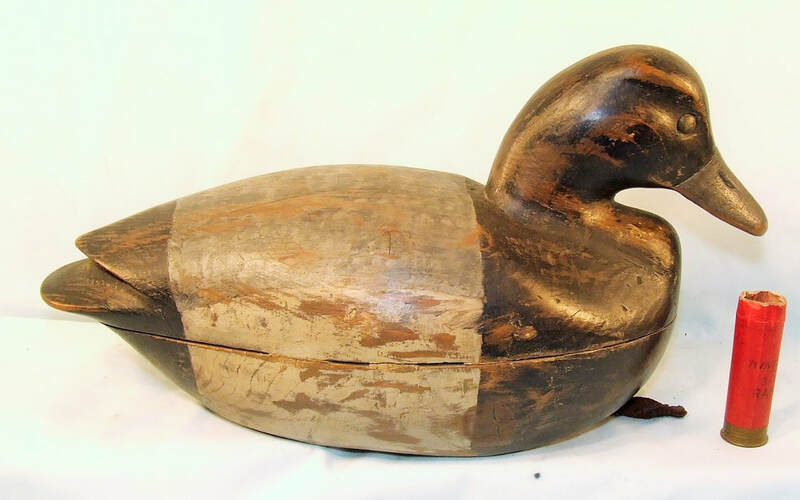 -----Eugene "Gene" Hendrickson (1899-1971), Northfield, NJ – Hollow black duck in old second coat paint, some crazing, over scratch paint with some scratch paint feathering visible, tack eyes, carved nostrils & bill delineations, neck shelf, paddle diamond-pointed tail, inlet weight, strap attached, some seam separation, without repair or neck crack @ $225. 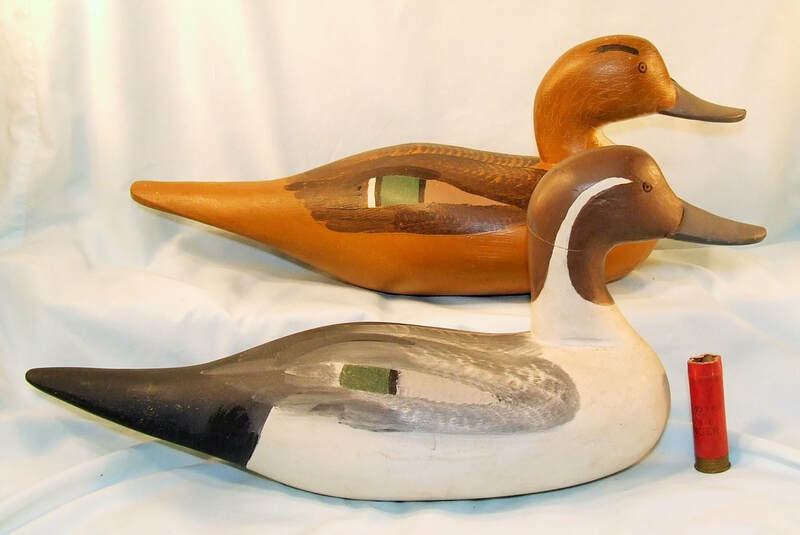 Hendrickson, a waterman, was known for the fine decoys and fine hunting boats that he crafted. 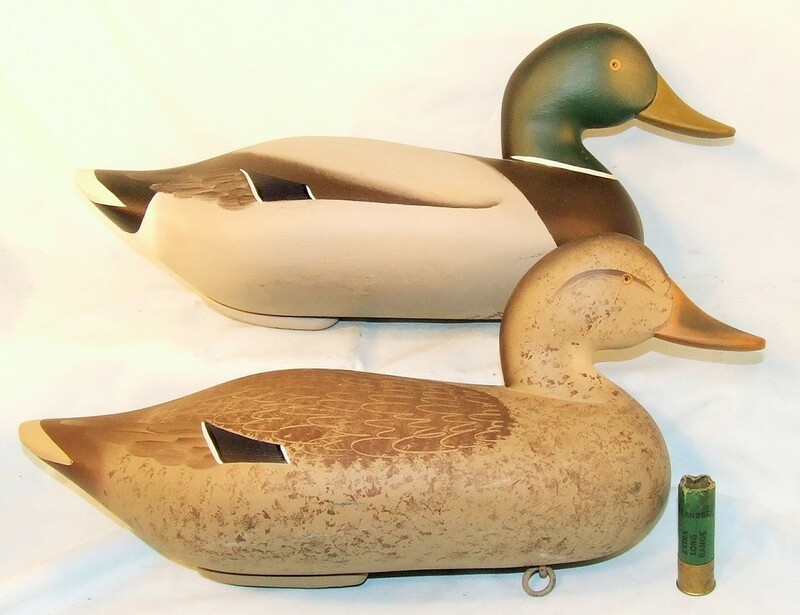 He and his decoys are profiled in Atlantic Coast and New Jersey decoy books. (see DecoyMag 2011). 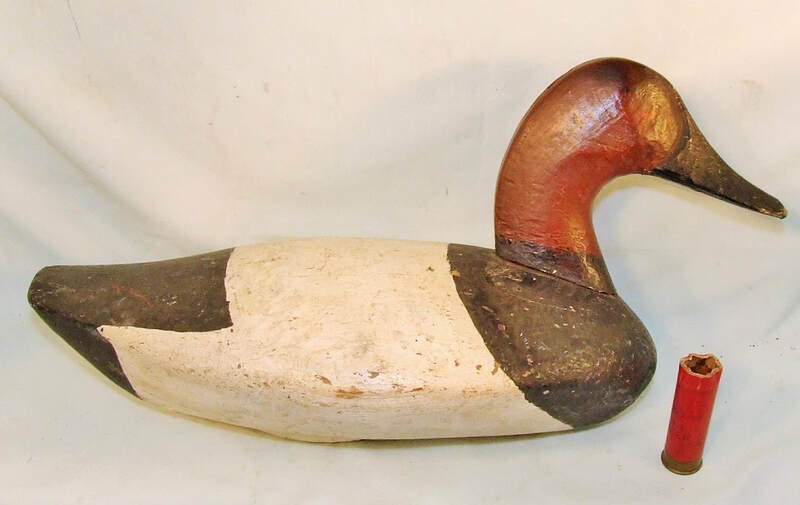 ​-----Mason Decoy Factory (1896-1924), Detroit MI - Full sized laminate swan with age, attributed to or made a long time ago (old original paint) in the likeness of a Mason Decoy Factory swan with long-neck, glass eyes, carved nostrils & nail bill, rounded neck shelf, rounded mounded back, defined upswept tail, 1 + inch bottom mount hole with wear, lamination lines visible (age), G&D sticker affixed, without repair or neck crack @ $625. 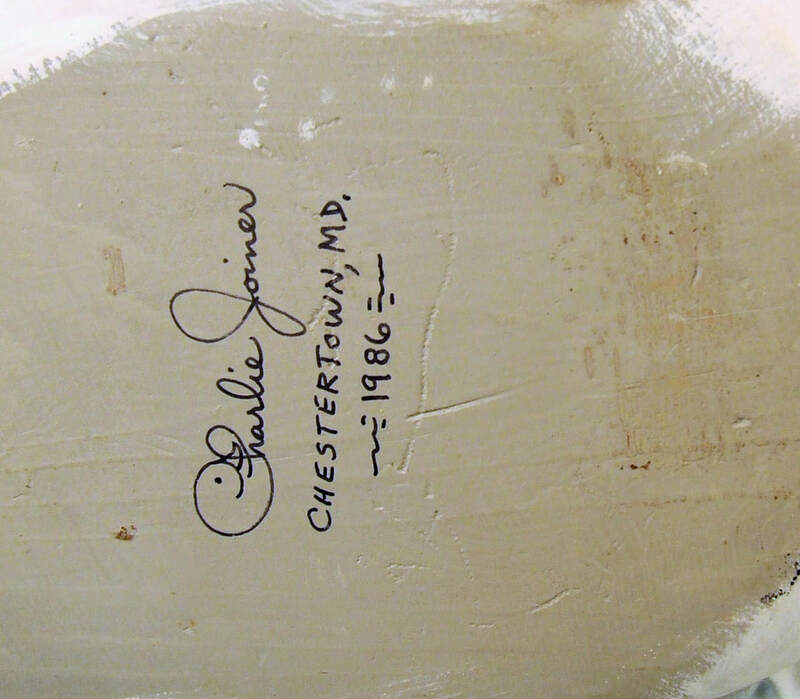 Photos do not capture the subtle distinctive paint swirls. This bird has ridden some sort of pole structure, and swung or moved.....possibly in front of a hunting lodge. 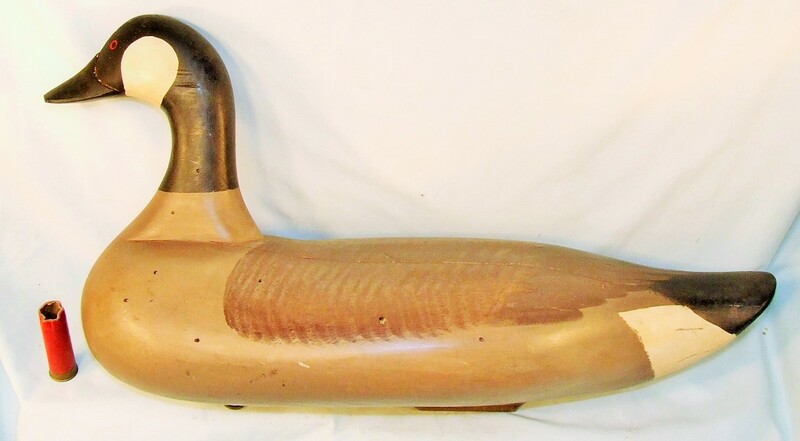 This swan was part of the 5,000 decoy plus 2013 auction liquidation sales of Chincoteague's Refuge Museum that, besides many Mason decoys, included massive Back Bay Virginia/North Carolina gunning club rigs. 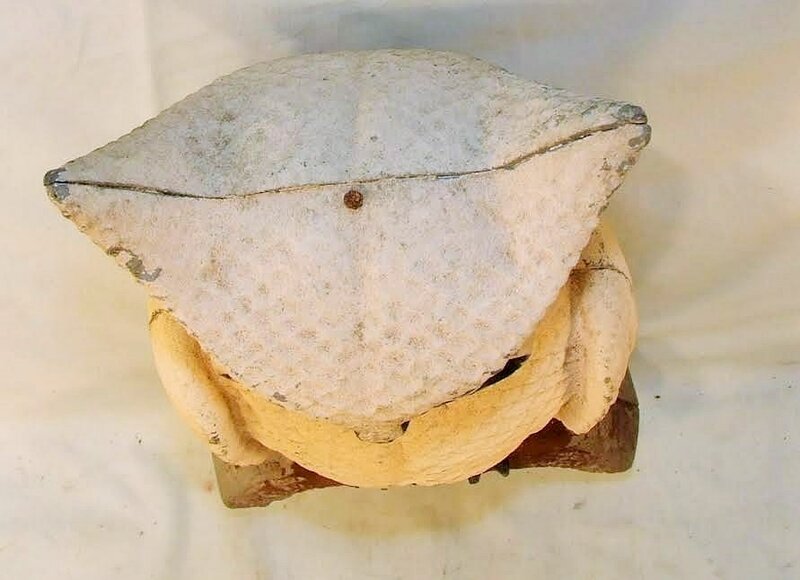 This swan decoy, did not come from the museum's displays, but was found in a Northampton County, Virginia bank building vault with a few similar swans, said bank building owner being the same owner/ hunter/decoy collector that owned the Refuge Museum. The owner, John Maddox, a successful business/real estate investor, also purchased, over the years, Back Bay gun club lands. 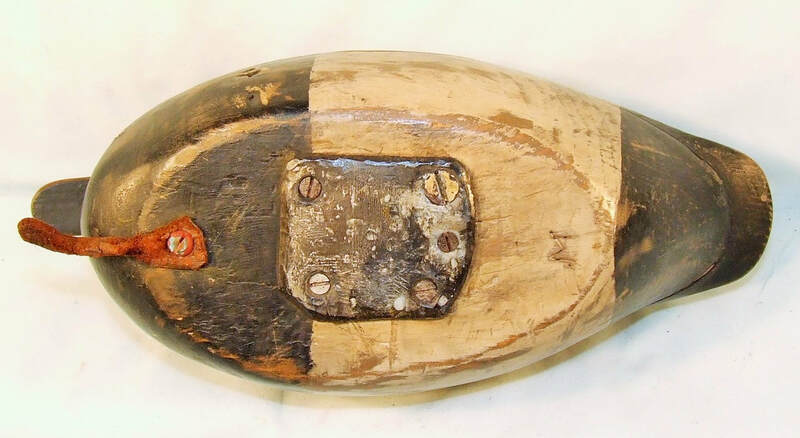 Many Mason decoys were used at the Back Bay clubs, many with gun club brands (BARRONS, FCGC, etc.) that have survived to this date. 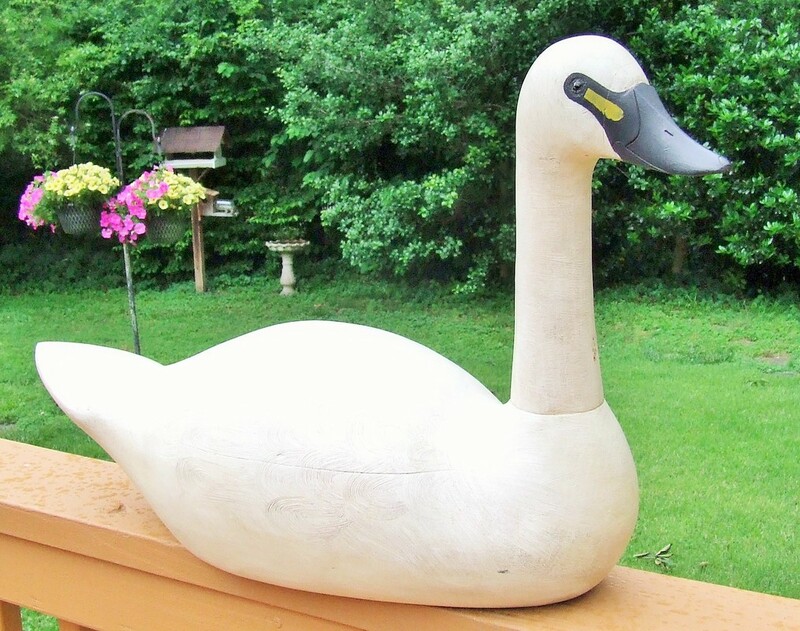 Mason collectors are familiar with the historic photo of two swans on fence posts outside of Back Bay's False Cape Gunning Club (FCGC) ***** This decoy measures 32 X 9 X 18 + and would best be delivered at the forthcoming Easton Waterfowl Festival or arrangements for shipping be made through our local Parcel Plus store. ​PLEASE NOTE: ALL PRICES QUOTED ARE PLUS $20 S&H, INSURANCE INCLUSIVE, to USA’s lower 48 via UPS, a little more for two to the box, geese, swans, iron ducks, bulk & locations west of the Mississippi River. Arrangements to ship elsewhere can be made through our local Parcel Plus store. If requested to ship two to the box, breakage responsibility is yours. PAYPAL also accepted. I guarantee what I sell and advise as to repair and condition. 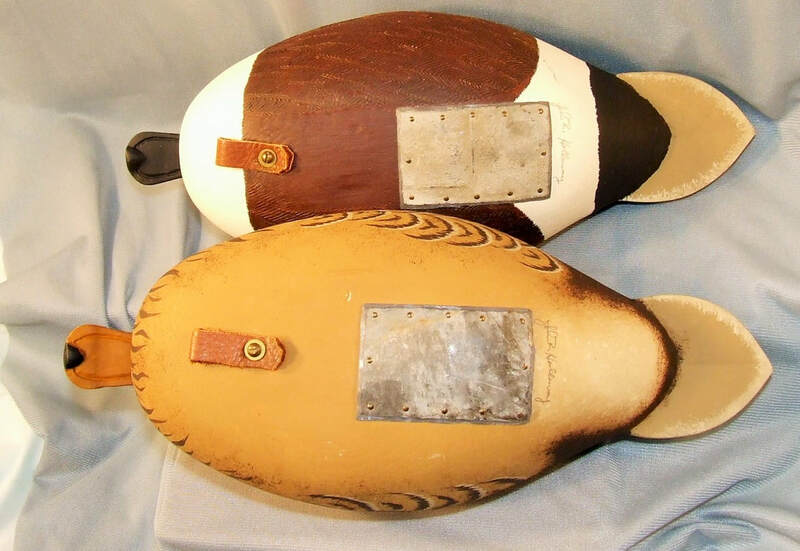 For those who have not dealt with me, I can give references of people with whom I have sold or swapped decoys. 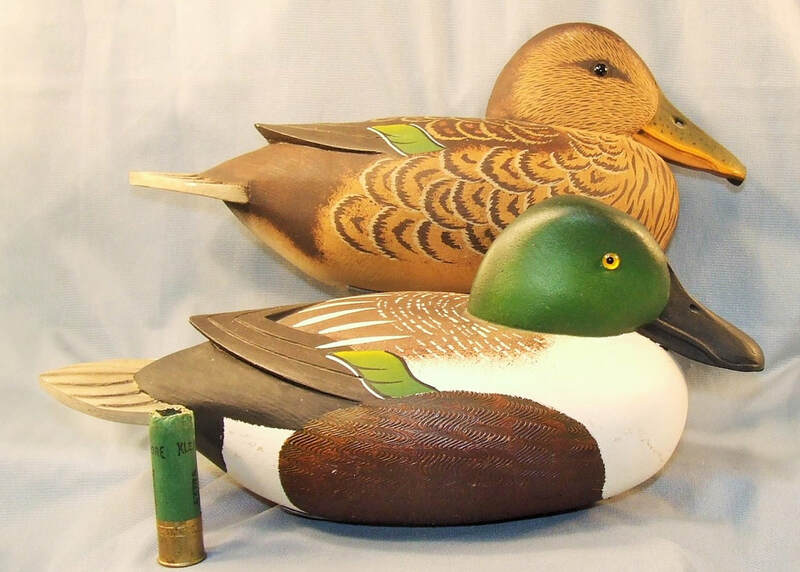 I have owned collectible decoys for over 40-years. 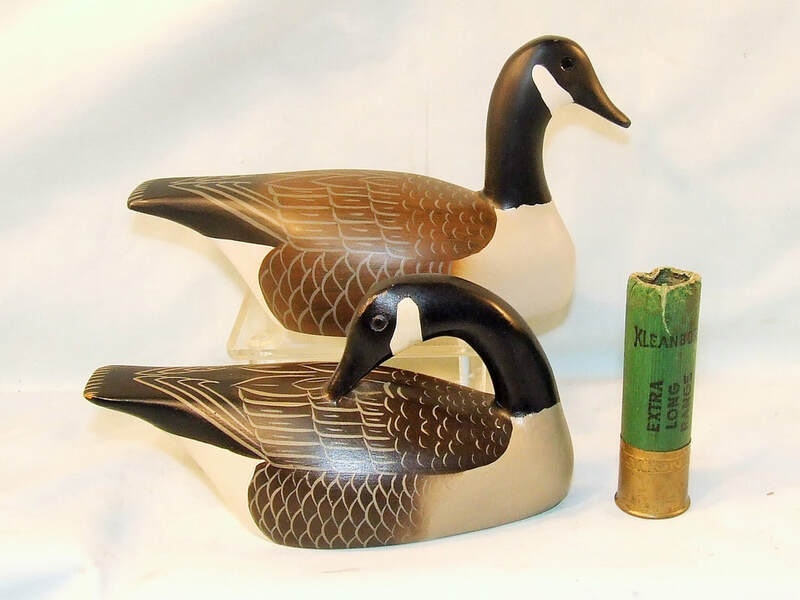 I am a regular contributing writer for Decoy Magazine and H&F Collectible Magazine, the two periodicals that service the decoy collecting community. 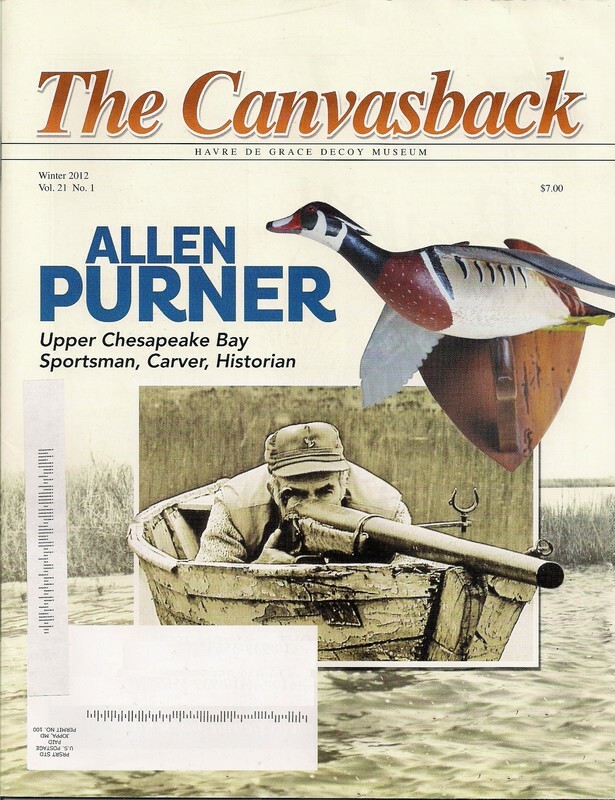 My articles, columns, and/or show, book, and exhibit reviews have also been published in the Havre de Grace Decoy Museum’s The Canvasback magazine, The Ward Museum’s Wildlife Art magazine, Upper Bay Museum’s annual show magazine, The Captain Salem Avery House Waterman's Museum quarterly periodical, Wildlife Art News magazine, State of Maryland Retired DNR Police Newsletter, as well as the Antique Trader, and Sporting Collector’s Monthly periodicals. 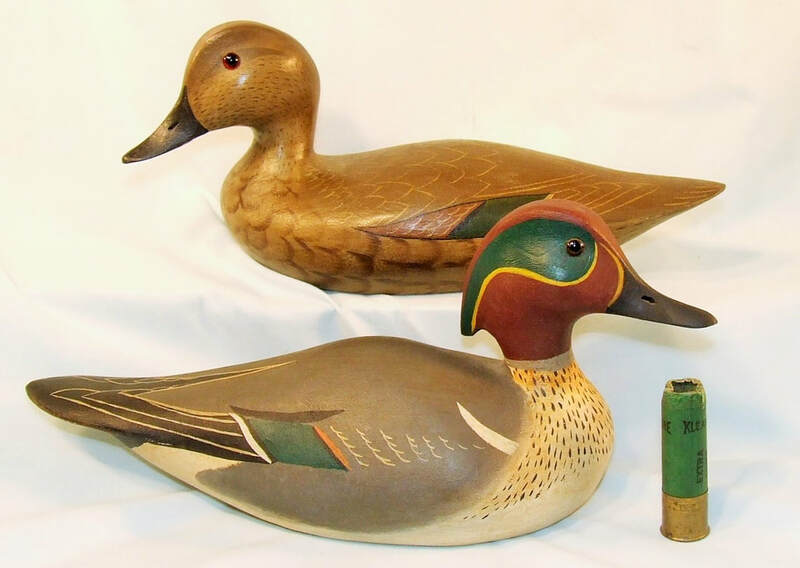 I have researched, written and have had published over 50 articles (18-cover stories) on decoy makers, gun clubs and/or related waterfowling history. I have been “guest duck speaker” at a variety of venues addressing museum, historical & collector groups. My decoys have been displayed at a variety of waterfowl shows as well as at the Ward, Havre de Grace, and Chesapeake Bay Maritime Museums. In Washington, DC, my decoys have been displayed at the museum shop of the National Trust for Historic Preservation and at a Congressional Sportsmen Foundation reception in the Rayburn House Office Building on Capitol Hill. 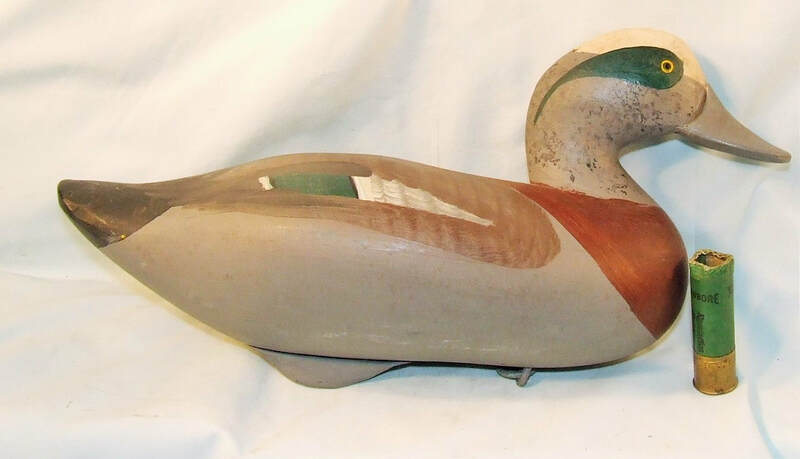 I am a member of several decoy-collecting groups including the Potomac, East Coast, New Jersey & Midwest Decoy Collectors Associations. 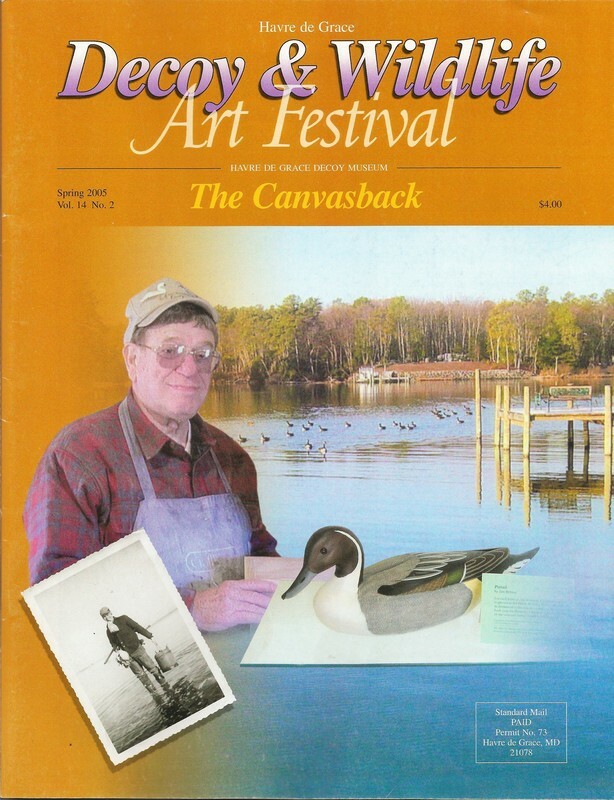 I am a “Life Member” of the Havre de Grace Decoy Museum and I work as a volunteer at their annual Decoy & Wildlife Art Festival. If there are any questions, please let me hear from you! 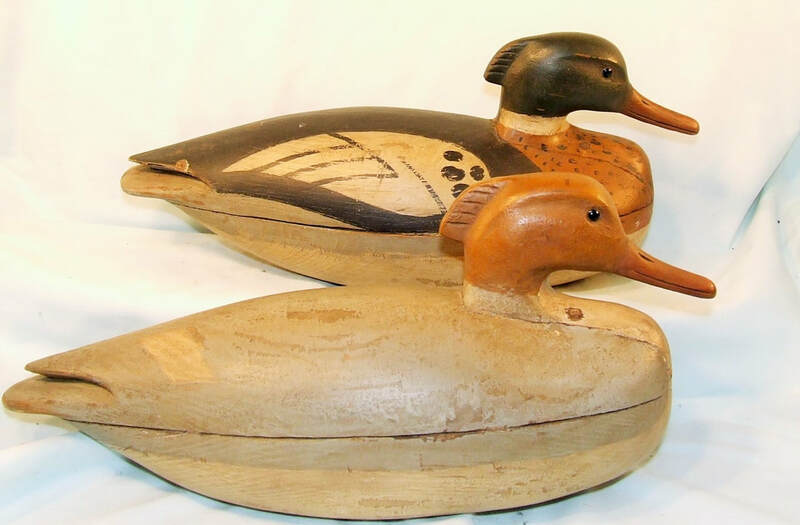 James "Jim" Trimble…….Collector of Old Decoys…….